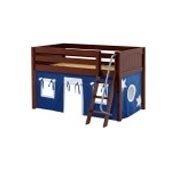 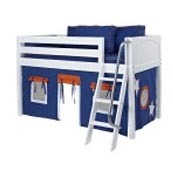 Available as twin or full loft. 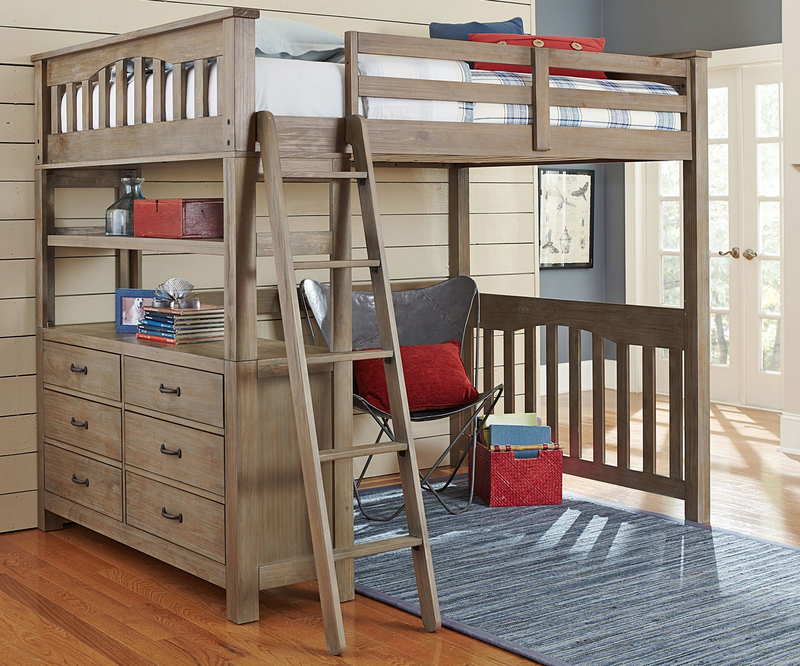 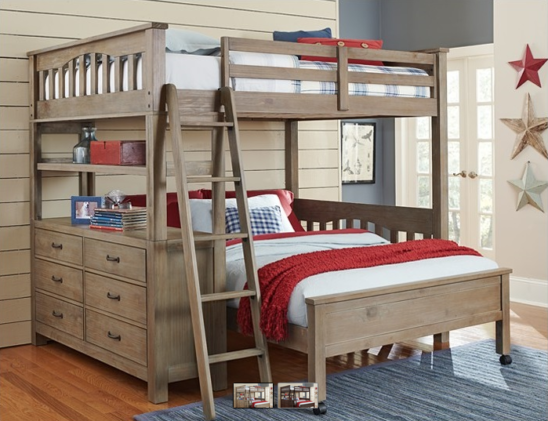 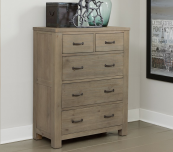 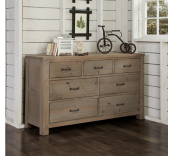 The twin loft features a 4 drawer chest end; the full loft features a 6 drawer dresser end and can be positioned on either the right side or left side of the loft. 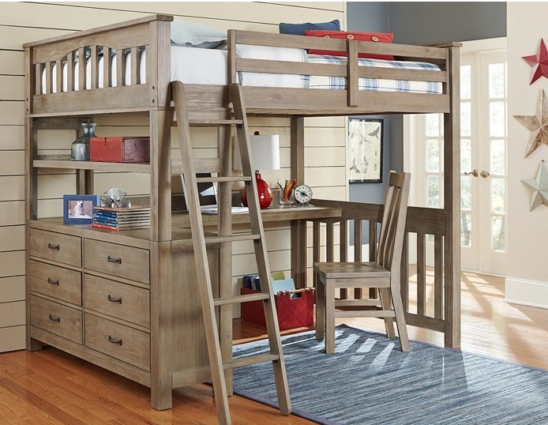 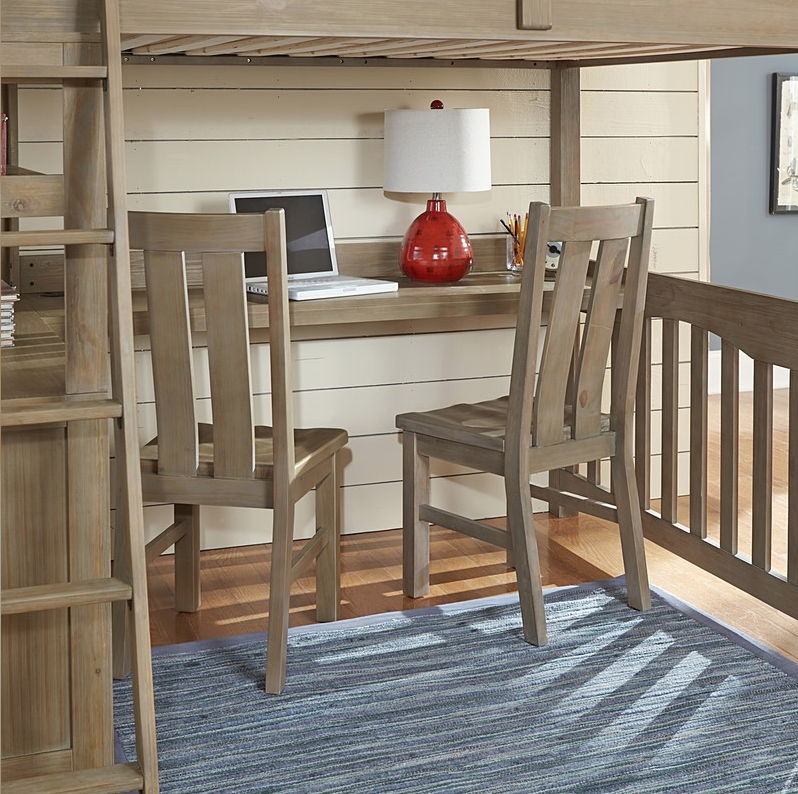 Desk top option: The loft has the option of adding a desk top. Hand crafted using solid wood this bed is available in the driftwood or espresso finish and enhances by DURA-Brush finishing process.